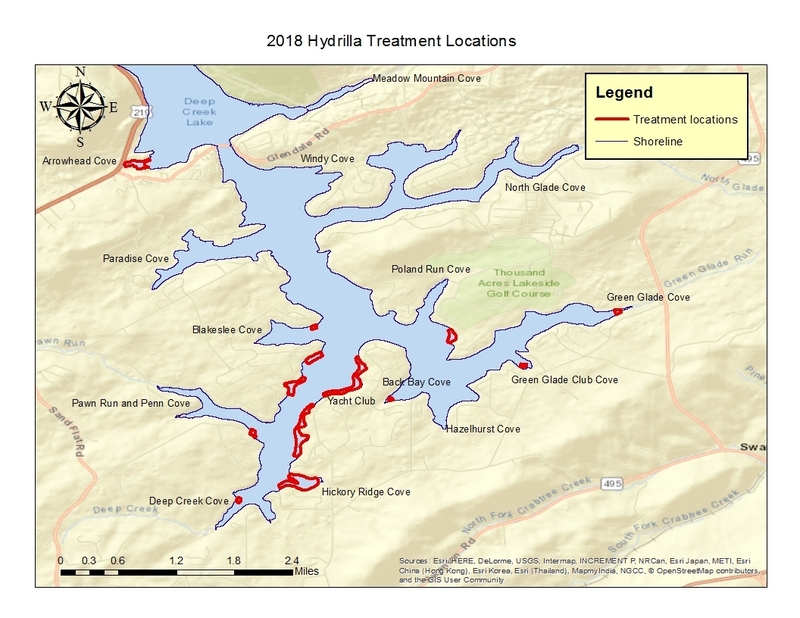 Due to storms in the forecast, the fourth and final Deep Creek Lake hydrilla herbicide treatment for 2018 has been moved from Tuesday August 21 to Wednesday August 22. The proposed date is always subject to change due to changing weather conditions. Follow-up emails will notify you of changes to the proposed date. We will provide as much advance notice as possible, but please understand that changes can be made up to the last minute due to unforeseen circumstances and changing weather conditions. The attached map shows the areas of the lake, outlined in red, that will be impacted by the herbicide treatment. The locations and overview of the 2018 treatment plan can also be found here.